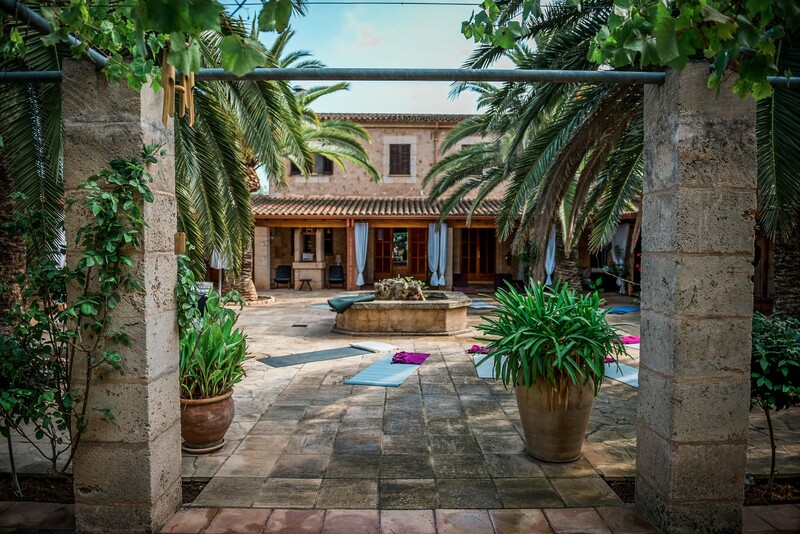 A few weeks ago I was invited by two yoga souls Yasmin Schwarz and Patricia Tomalla to capture their monthly yoga retreat in Mallorca, which was held in a beautiful mallorquin Finca in Campos. 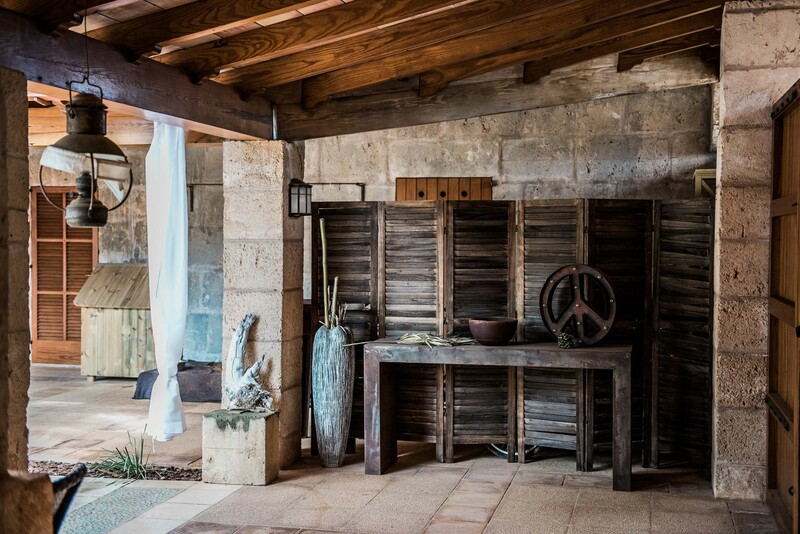 What an amazing place, surrounded by vineyards, so rustic and modern at the same time with a lot of beautiful details- actually also the perfect place for an intimate Mallorcan wedding. Yasmin is a very good friend of mine and a happy, dynamic and thoughtful person, who loves to create and develop new ideas and to work with people, especially with women, children and babies. She was raised in Mallorca and is absolutely in love with this island, its people and nature. 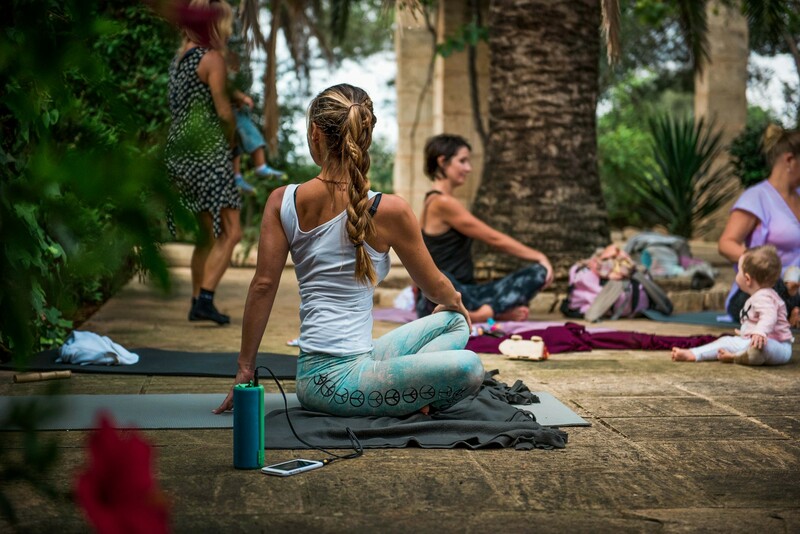 She guides her students through a Vinyasa Flow with elements from Ashtanga and Iyengar, combined with love and kindness. 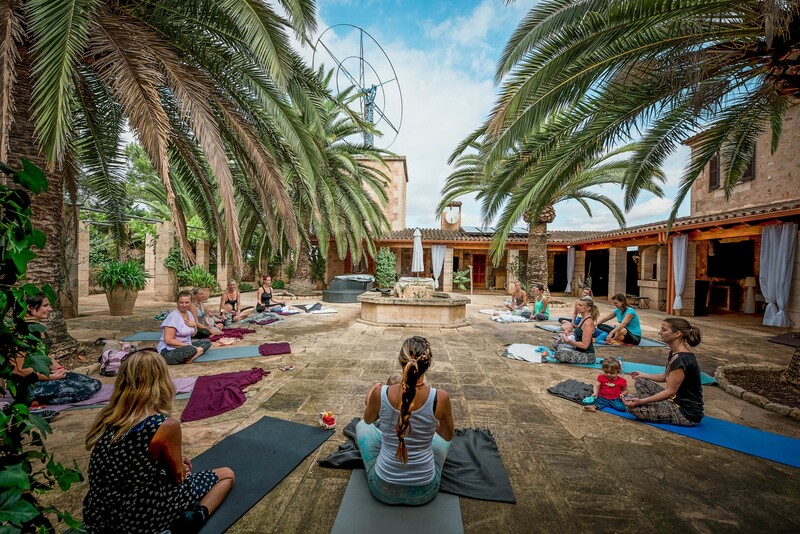 This health retreat was not just about the well-being of group of beautiful ladies, but also about their little ones. So I was capturing 12 moms and their babies doing yoga and just having an amazing day filled with so much love, laughs, fun and cuddles. Yoga mats set right under the palm trees, the sun was shining through and the spiritual music in the background made me feel like being somewhere in the tropical Bali. 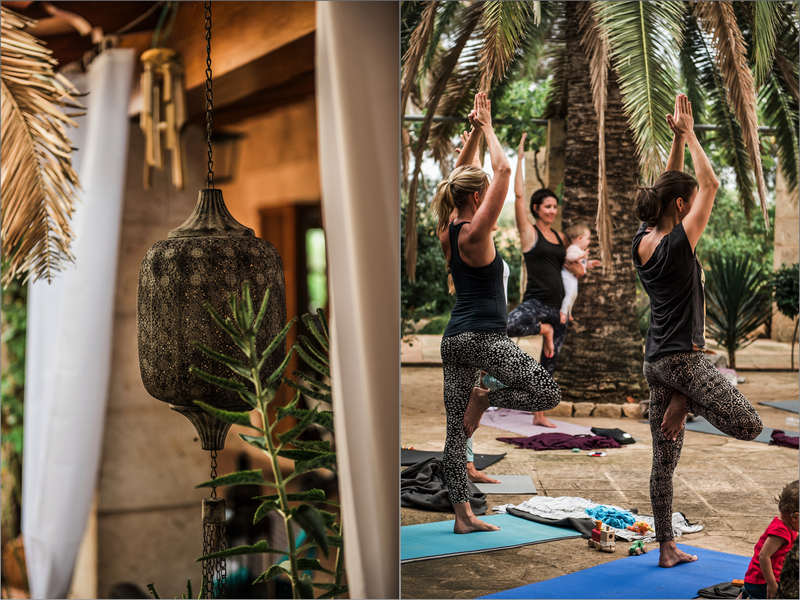 After all the stretching, singing and relaxing, the writer and owner of Soulseekgirl, Danae Borsani, was sharing her Yoga and Ayurveda experiences in India. I was capturing these moments trough my camera lens and keeping my ears open for these inspiring stories, keeping in mind that I am also going to travel to India in December this year! 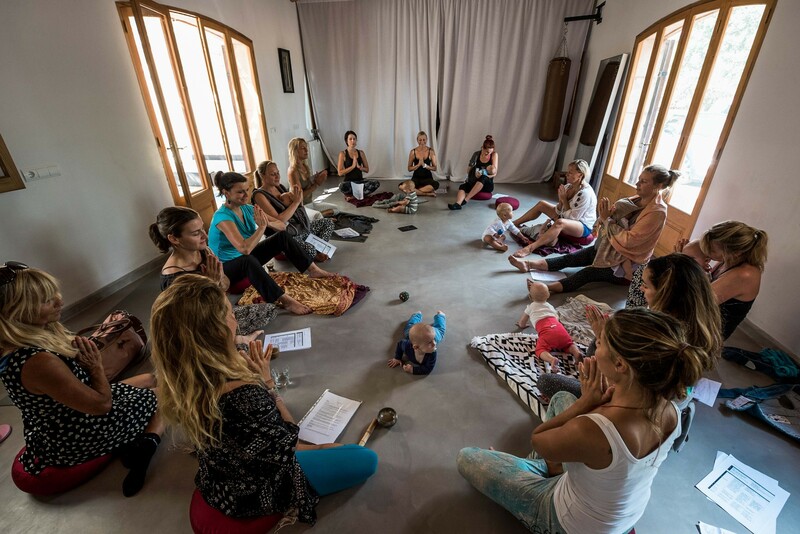 In fact, when the moms chanted the OM in the room, fulfilled with the smell of chai tea, I already imagined myself being in India, filling my camera card with portraits of the local people I will meet, the beauty and roughness of this country and all the breathtaking landscapes I will see. I have been dreaming about it since I discovered the inspiring photography of Steven McCurry. I cannot wait!